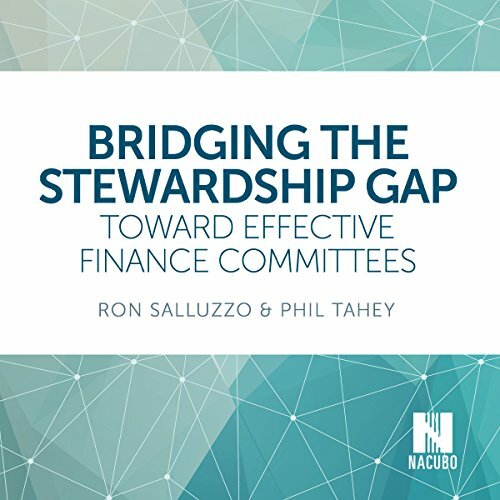 Written by Ron Salluzzo and Phil Tahey, this audiobook offers institutional leaders guidance on how to effectively communicate to members of college and university boards and finance committees who need support in better understanding the business model of college and universities. Their collective knowledge is based from more than 80 years of combined experience in governance practices regarding financial matters for colleges and universities. Reviewed by experts and chief business officers in the higher education sector, this audiobook offers a deep dive into understanding institutional finances and strategies. Institutional leaders at both the cabinet and board level will find materials organized into topic areas, insightful questions to ask in those areas, and questions to consider for future discussions. This audiobook will speak to institutions who fall within the Baccalaureate and Master’s Carnegie Classification Levels and serve less than 10,000 undergraduate students, with the clear majority serving less than 4,000 undergraduate students. These institutions are often struggling financially, and the financial pressures require increasingly effective oversight and governance by their boards of trustees, especially their finance committees.